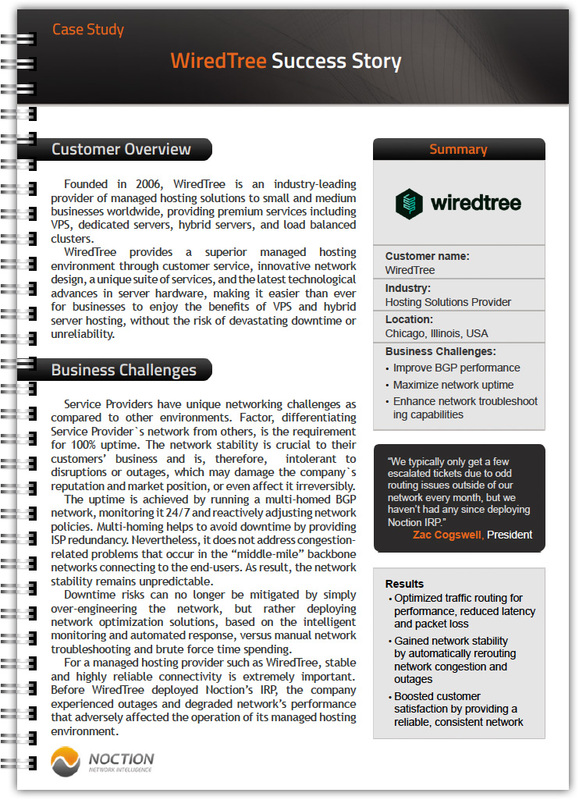 Founded in 2006, WiredTree is an industry-leading provider of managed hosting solutions to small and medium businesses worldwide, providing premium services including VPS, dedicated servers, Hybrid servers, and load balanced clusters. Noction IRP helps UK2 Group manage bandwidth usage to meet the commit levels established with its transit providers. IRP helps Steadfast to proactively mitigate network issues providing best connectivity to its latency sensitive customers. Find out WebNX, an LA-based Internet Service Provider, has achieved a considerably better ROI from BGP performance automation.